※ Changed demo maps to Intro chapter from the full game. ※ Fixed quiet crashes whenever one tried to load a savegame. ※ Tutorial added (6 levels + hub). ※ Two new enemy types added (Spy Drones & Carriers). ※ Reloading a save during combat wouldn't destroy the enemy/turn off the combat state if the save was made on the same map. ※ Doors not restoring properly upon reloading of the save if the save was made on the same map. ※ Ramming through the open doorways not damaging the target, but the door itself. ※ Attacking from higher/lower ground not affecting the target's evasion at all. ※ Landmines blocking player's aim if the target is located behind them. ※ Incorrect amount of damage caused to the entity in certain cases. ※ Ramming sound not playing when hitting a jammer. ※ Text typing effect glitching in certain cases. 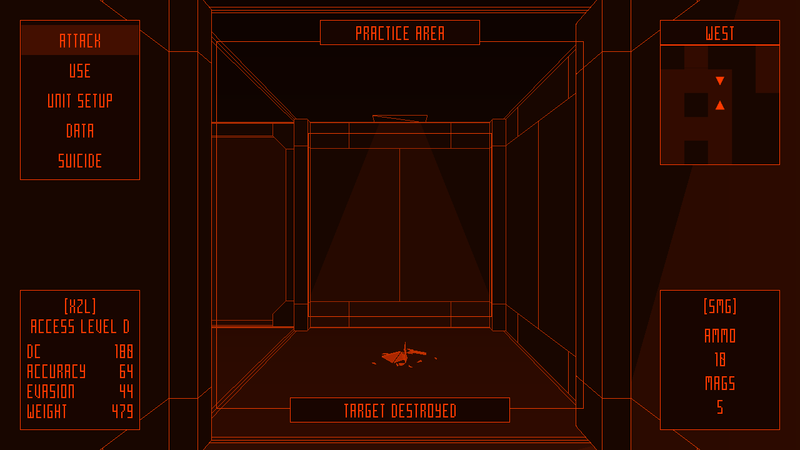 ※ Doors with access level higher than the player's no longer show the 'ACCESS LEVEL X REQUIRED' message. Use the ANALYZE function to check their access level now. ※ Adjusted Jurgen's AI and weight stats to make ramming a slightly easier option against him. ※ Now the main menu is loading automatically once the base data has finished loading. ※ 'ENEMY IS CRIPPLED' message no longer appears if you're far away from the enemy. ※ Slightly increased ram damage to the heavier entity. ※ Slight tweaking of weapon and enemy stats. ※ Cut down the access card pickup messages. ※ Text roll in the intro is slower now. ※ Additional text and audio tweaks. Das Geisterschiff Demo v0.7.0 has not been tagged yet.